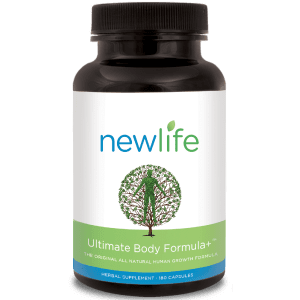 Probiotics are cultures that have been shown to provide specific health benefits such as supporting gut and immune health and contributing to the maintenance of a balanced gut microbiota, important for the proper functioning of the digestive system and the entire body. The gut microbiota of every individual consists of various microorganisms (bacteria, yeast and fungi) that live in the intestinal tract. When the intestinal microflora is out of balance, that imbalance may affect overall health. 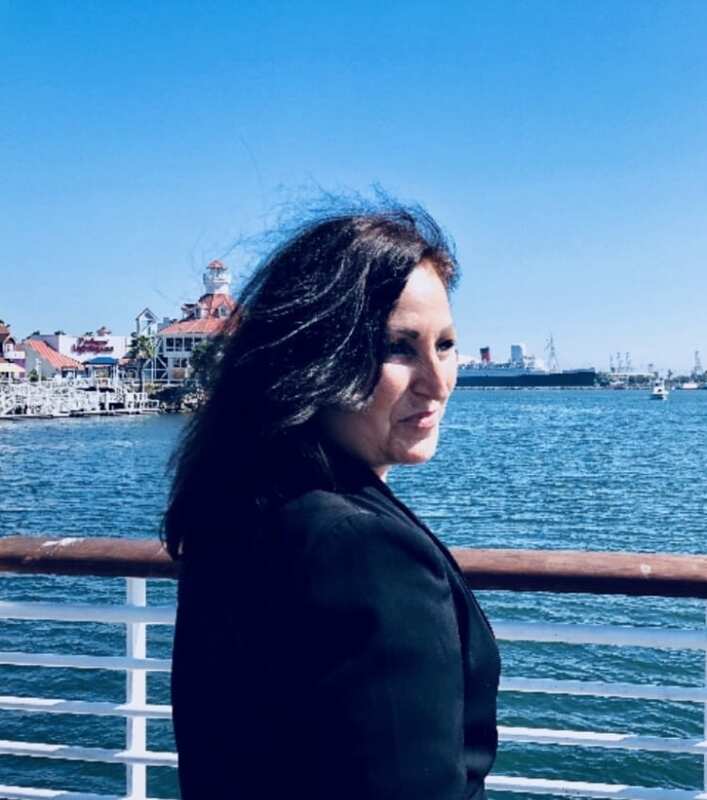 This balance can be disturbed during times of stress, with age, in menopause, when taking medications, with an unbalanced diet, and in the event of acute or chronic intestinal disease. When your body is under a ton of stress, it can alter the mixture of bacteria found in your digestive tract. With Probiotic Platinum, you can help to increase “good bacteria” and promote a healthy digestive tract which is helpful, especially during times of stress. Probiotic Platinum keeps your digestive system healthy and contributes to your body’s immune function. A large percentage of the body’s immune system is located in the gastrointestinal tract. It’s not uncommon for certain foods to cause bloating. 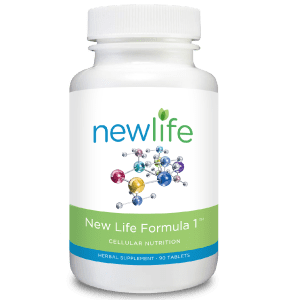 One way to reduce the occasional feeling of gas or fullness is to take a Probiotic Platinum daily to support abdominal discomfort and to help control bloating. 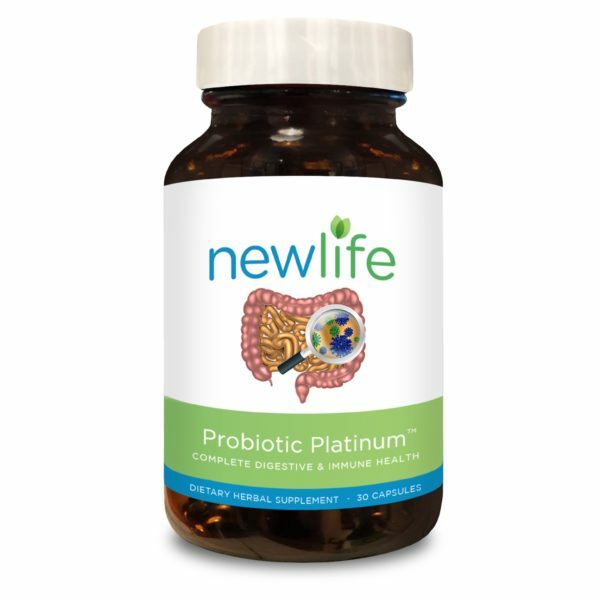 Probiotic Platinum works to assist your body’s ability to digest food and supports a favorable environment for the absorption of nutrients to help you feel your best. Food allergies and many more! I purchased this product for my wife. She was dealing with a UTI. Dr. Prescribed an antibiotic that did not agree with her which gave her soars in her throat so I made sure she took 2 of these a day until symptoms went away. The problem was cleared up within a couple days! Have no gallbladder so I have tons of stomach issues. Bought these and wow no stomach issues and I haven’t been sick once, even though everyone in my house had a cold. I’m also pregnant now and haven’t puked once. This is my second bottle. These have been a life saver!!! running smoothly and with no upsets at all. Platinum is the best probiotic! 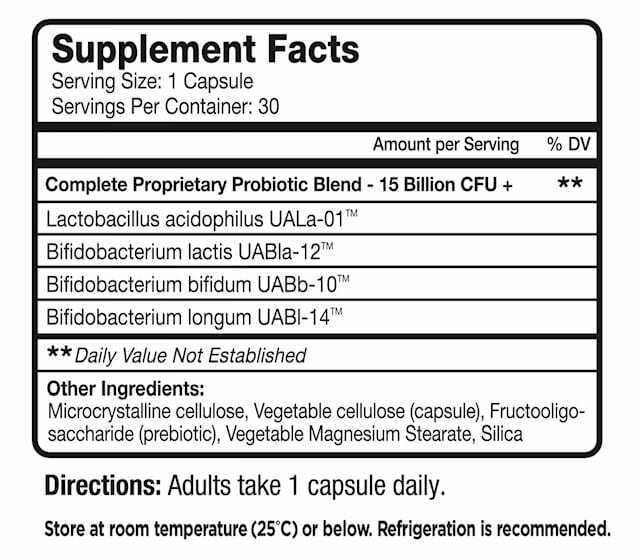 I’m required to take probiotics and I have tried a lot of them!!!! Your product is the BEST. 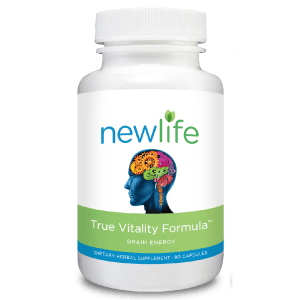 Your product is as it states “one a day” is all you that is needed. Thank you for bringing out a genuinely GREAT proudly made in USA. Thank you for providing a product that is as it is advertised. I hope this product is around for years to come as I will buy no other. No other product can come close. 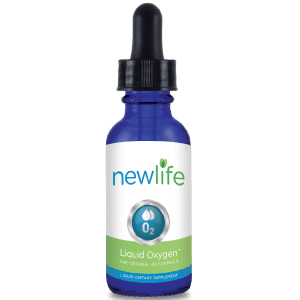 I did a lot of comparing of probiotics and went with this brand because they offer a high quality product, with just as many probiotic strains as the expensive brands. They are a small company and I’m happy to support them. So happy to have found this product after years of chronic constipation! Goodbye laxatives!! It’s this product from now on! I Think this is one of the best probiotic so far. It really help with my bowel movements. It works for me, very effective as described. Good quality. I would definitely recommend it . – Un extraordinario producto que me está ayudando muchísimo en el buen funcionamiento de mi digestión…Y muchísimo más!! !